The new KeepSafe Break-Away Collar by PetSafe is a clever little device that can save animals lives. Sadly many dogs needlessly die every year from strangulation when their collar gets caught whilst their owner is out. According to the American Pet Products Association (APPA), upwards of 26,000 collar strangulation accidents occur each yearly in homes and establishments around the country! "A survey of veterinarians, trainers and doggy daycares found that more than 50% of pet professionals have experienced a collar-related accident with a dog. The number one most common way these accidents occur is when dogs are playing together and one gets snagged in the collar." Of course, you should also never leave a dog tethered in your backyard unattended! Tethered dogs can wrap themselves around and around a pole or a tree: in their struggle to get loose, they could strangle themselves in the process.When tied incorrectly inside a vehicle, dogs also run the risk of hanging themselves if they try to leap out of a car window or from the back of a ute. Think of your dog as a small toddler... Inside the house your dog’s collar could easily catch on something like the cords of your venetian blinds or curtains. Removing collars before crating your pets is another good way to avoid this common form of strangulation. HOW DOES THE KEEPSAFE BREAK-AWAY COLLAR WORK? This innovative collar features a patented break-away buckle that releases when pressure is applied or it gets caught on something. If your dog's collar gets stuck on something and they start to choke, the buckle releases immediately and the collar falls off harmlessly. 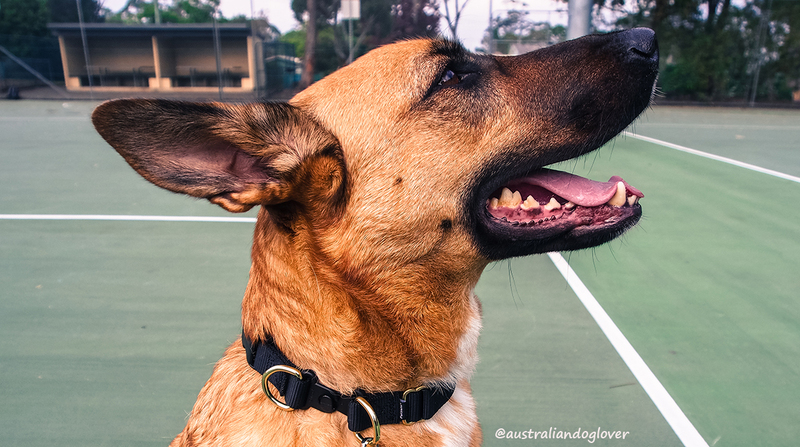 Rather than not wearing a collar at all (your dog then does not carry his ID Tag), the KeepSafe Break-Away Collar is a safer option, providing 24/7 protection for your dog. For everyday use and walking your dog, simply attach your dog's leash to the two D-rings (unlike me!). When the leash is clipped to the D rings, the collar's safety buckle will not automatically release which leaves you in full control of your dog. For the correct fit, measure your dog's neck and add 2.5cm. Disclaimer: we received this product complimentary from PetSafe Australia for testing purposes.